* More women than men talk to their cars. * The melody for Nat King Cole’s 1954 hit “Smile” was composed by Charlie Chaplin. * Acid rain was first identified and named in 1852. * What is your buccal cavity? Your mouth. * There are no skunks in Newfoundland. * The average Super Bowl party has 18 people. * When dropped in water, a fresh egg will sink; a stale one won’t. * The average newborn baby spends 113 minutes a day crying. * Pepper was so valuable during Elizabethan times that it was sold by the grain. * Fossilized termite farts have been preserved in amber. 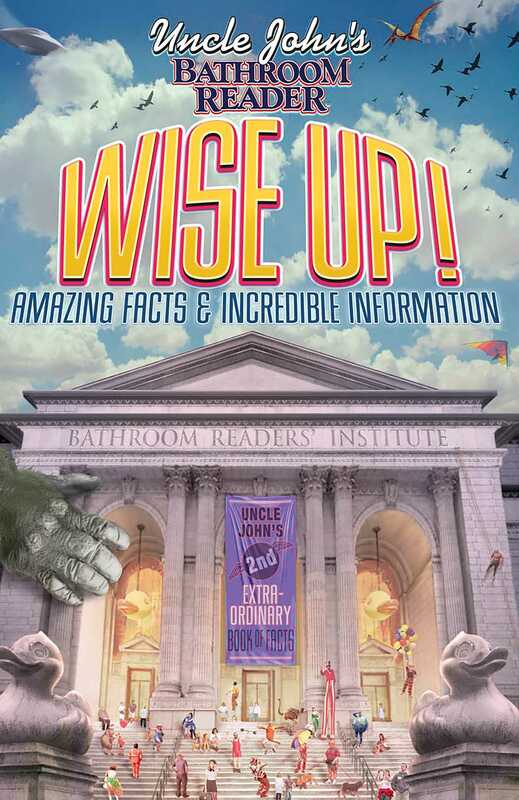 Book Cover Image (jpg): Uncle John's Bathroom Reader WISE UP!